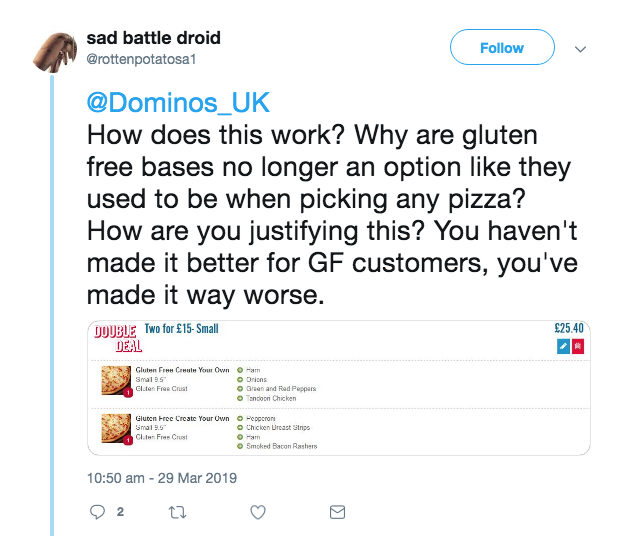 Angry GF pizza fans have taken a stand against takeaway chain Domino’s after being given conflicting information about how to order their food. 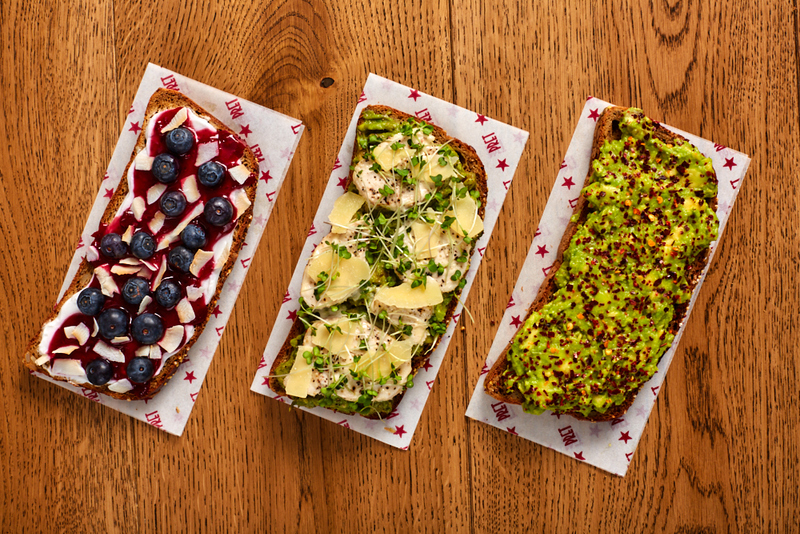 Are gluten-free customers being discriminated against despite the company’s attempts to be more cautious of contamination? Takeaway pizza chain Domino’s have changed the way customers order and it’s left the free-from community seething. 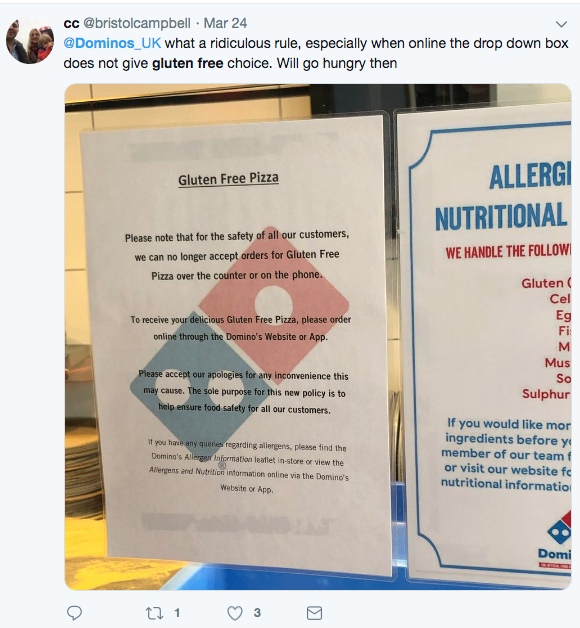 It’s difficult enough to get pizza that’s suitable for those who avoid gluten, but now Domino’s have changed their ordering process and buyers are being told they have to order online. 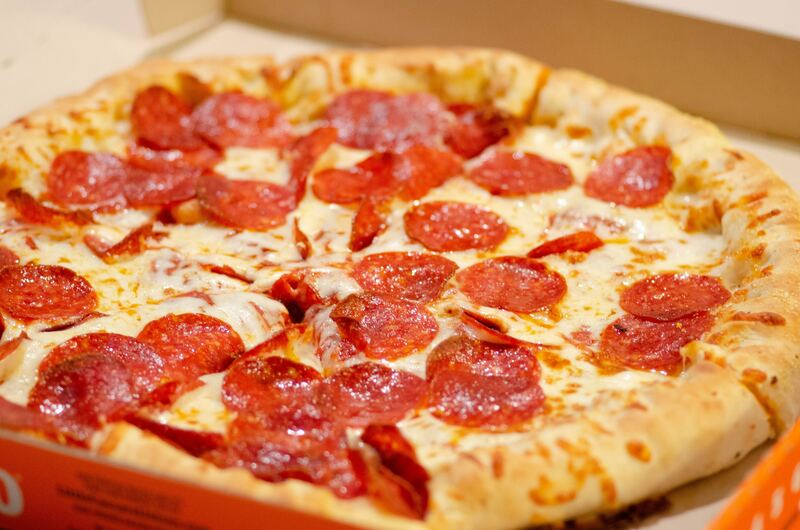 UK news outlet DevonLive reported one man attempting to buy £600 worth of pizza for a charity event only to have his order of one gluten-free pizza rejected. He was redirected to the website to place the order for the sole pizza, and was then charged an extra fee. Making life more difficult for those with food allergies certainly isn’t going down well. Let’s hope Domino’s resolve this problem in a timely manner and with due respect to the people affected.